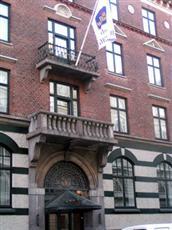 The Best Western Hotel Hebron Copenhagen is located within a 5 minute walk of Tivoli Gardens. There are many cinemas and restaurants situated in the nearby area around the hotel. Activities available in the local area include surfing, sailing, boating and golfing. The beach is located not far away from the hotel. Guests will also be able to easily access a variety of shopping opportunities in the area around the hotel. Bicycle rental services are available through the Best Western Hotel Hebron Copenhagen. The airport is situated within a short drive. Public transportation services are available in the area, including water taxi services. There are 100 guestrooms at the Best Western Hotel Hebron Copenhagen, each featuring a private bath, hair dryer, television, telephone and tea/coffee making facilities. Amenities offered at the Best Western Hotel Hebron Copenhagen include a complimentary breakfast and a reception area. The hotel also provides a business center, safety deposit boxes, meeting facilities and laundry and dry cleaning services. Tour services can also be arranged through the hotel. Complimentary tea and coffee are offered at the hotel.